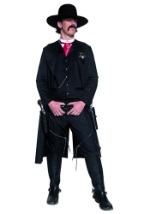 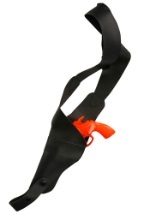 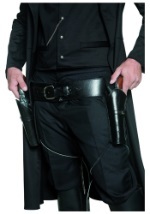 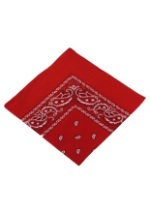 Cut a swath of destruction through the Wild West this Halloween! 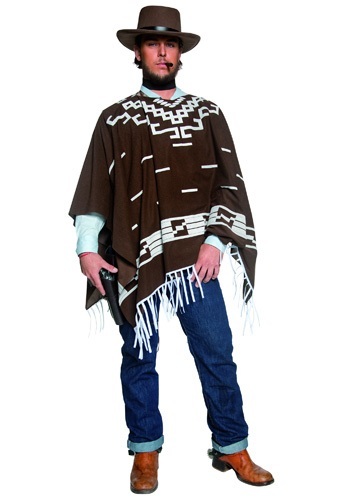 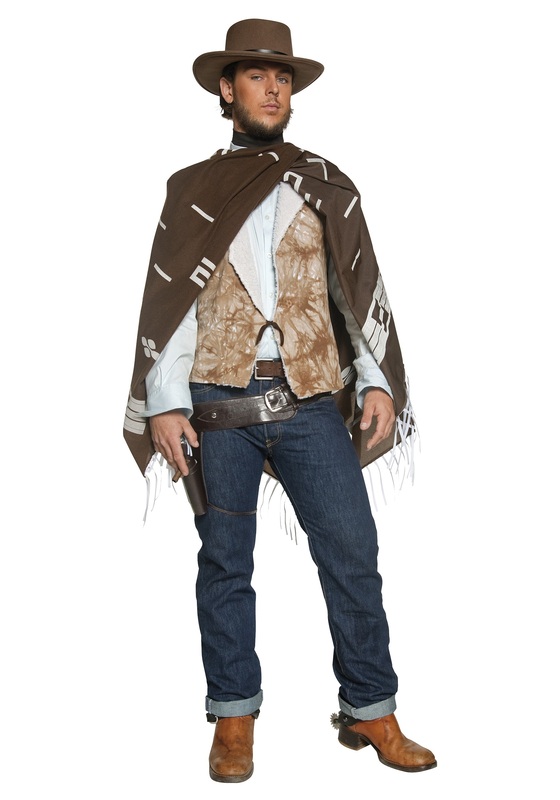 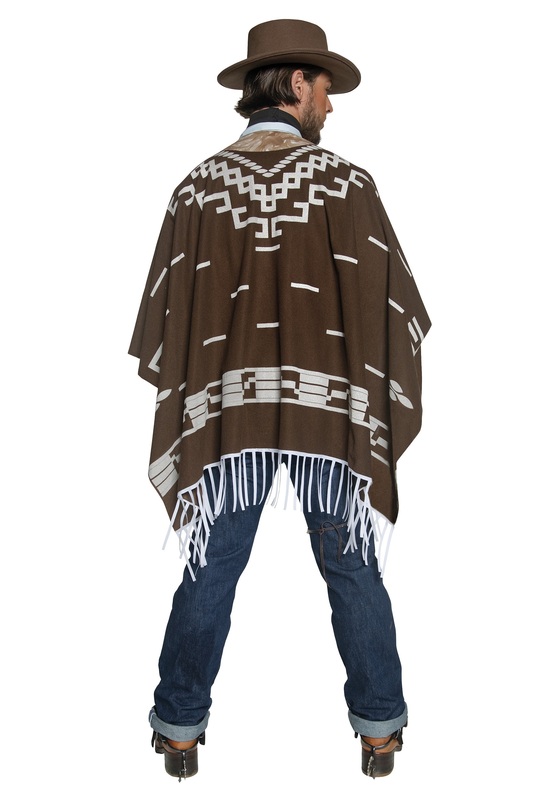 The polyester costume features a brown, felt-like poncho printed in a geometric, Southwestern pattern with white fringes. The poncho, which hangs to the waist, is worn over a light blue, button-up dress shirt. 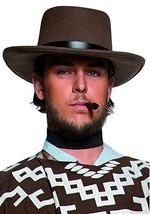 The dress shirt is attached to a light brown vest lined with fleece on the inside of the openings, collar and shoulders. 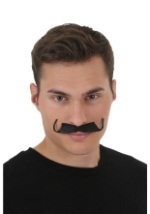 You can velcro the black strip of material around your neck like a scarf. 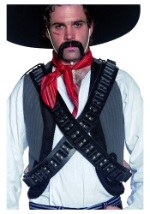 Our Mexican bandit costume is a great idea for a fun costume duo!